2018: During the festival days we again invited pupils from the Oder-Spree district to school cinema events as part of the WITHOUT BORDERS Festival. This time the film “Das schweigende Klassenzimmer” by Lars Kraume, based on the book of the same name, was shown. After the film screenings the students were able to rework their impressions through discussions with the present contemporary witness Karsten Köhler. 2017: Around 160 students from Bad-Sarrow and Fürstenwalde schools were able to watch the film ‘Bach in Brazil’. 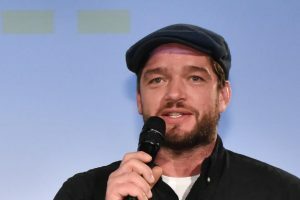 Subsequently the filmmaker Ansgar Ahlers led a lively discussion with German students and youth from the so-called ‘Welcome classes’ (partly made up of refugees). The analysis about what was watched continued throughout the festival and could lead to a valuable addition to extra-curricular education. We very much hope to further build up this part of the festival in the future. 2019: Since 2016 WITHOUT BORDERS FILM has organised film screenings, discussions and workshops for children and young people. 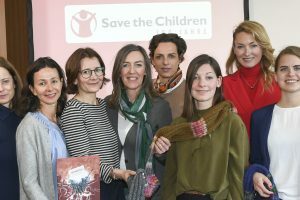 A first film workshop took place in March 2019 with DASI Berlin GmbH. 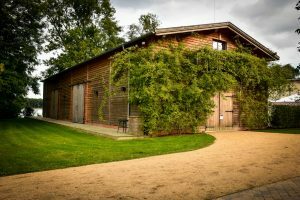 The project was aimed at young people who for various reasons are no longer able to live at home and are therefore supervised by the Diakonische Arbeitsgemeinschaft Sozialpädagogischer Initiativen. Guided by the VR journalists Christiane Wittenbecher and Susanne Dickel of IntoVR, the young people produced a 360° film. Together they developed the concept, the script and the shooting schedule. In doing so, they should deal with the content of this year’s festival theme: „WE“. The subtopic of their film, which the young people chose themselves in a first trial, was bullying. 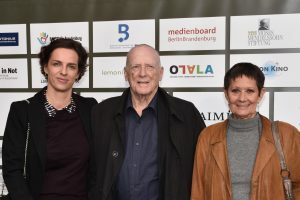 The head oft he DASI Berlin department in charge empfasized the importance of such a film workshop fort he young people:“ It gives them enormous independence and they experience what it means to be creative and to let something come into being. This strengthens their personality – qualities that will advance them in their further lives.“ The workshop was sponsored by the Stiftung Berliner Sparkasse. 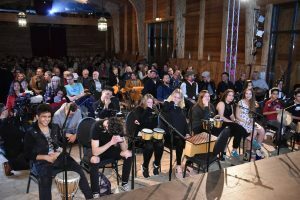 2018: Since 2016 WITHOUT BORDERS Festival has organised workshops for young refugees and Germans alongside the festival. 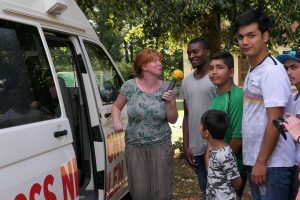 In the first workshop of July 2018, a film was produced by those living in shared accommodation in Bad Saarow. In a collage of texts, films, music and their own photos, the young men and ladies persue their stories and tell of their lives – both here and in their homelands. 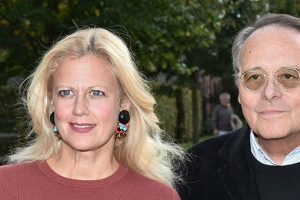 Together with the film-makers Anna Faroqhi and Haim Perez , the participants visited various places in Bad Saarow and spoke of their memories, plans and dreams. In the second part, sound was added to the produced films with the help of the musicians and composers Laura Mello and Eunice Martins. 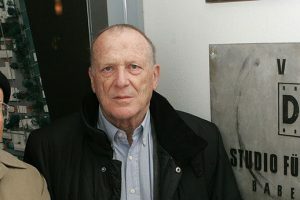 The film celebrated its premiere at the WITHOUT BORDERS Festival in the presence of their makers. Another workshop took place during the festival week in cooperation with Maxim Gorki Oberschule. 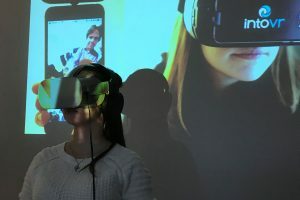 Led by trainers from IntoVR, the school students from Brandenburg produced a 360° video together with young refugees from Syria, Afghanistan, Iran and Serbia. The students developed the concept, the shooting schedule and the storyboard. 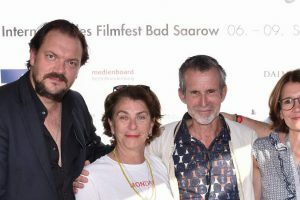 The film “Our Bad Saarow” was presented on viertual reality glasses at the opening evening of the WITHOUT BORDRS Festival. “Working with the youth was an intense experience. 16 hig school students, of various origins, some of them only since two years in Germany. That was a real challenge, but we were able to really inspire them with the medium and quickly saw how strongly they got involved, tried themselves out, even in front of the camera, interviewed the mayor and developed ideas. They grew by themselves. It’s a great feeling to observe this”, says Christiane Wittenbecher from IntoVR about the project. We thank the contributors and all those who, with their support, make these social projects possible in the first place. 2017: Just as we could offer a workshop for German and refugee school children in 2016, we were happy to be able to similarly implement two different media projects in 2017. Here, the youth worked together and through it could develop a better understanding of one another. Aided by artists and film score composers, independent film contributions emerged out of weeklong workshops during June and September 2017. In the first workshop, word-e-scape, it was about analysis with word and speech. In the second workshop sonONOlux the youths’ silent films were set to music will the help of instruments. Both the films were presented during the festival as well as the work of word-e-scape- Workshops was presented and exhibited at the students’ schools. The workshops have been under the care of Eunice Martins, Laura Mello, Heidrun Schramm und Nicolas Wiese.